Published: May 6, 2015 at 11:40 a.m. Updated: May 6, 2015 at 03:18 p.m.
With the 2015 NFL Draft in the books, we can stop speculating about who will be drafted where and start thinking about who among the NFL's newest batch of talent will have meaningful rookie seasons. Let's forget, for a moment, about sky-high future potential and focus on players with the ability to produce today. Below you'll find 12 rising rookies, listed in alphabetical order, who can make a real impact on the field in 2015. Drafted in: Round 2, No. 54 overall. 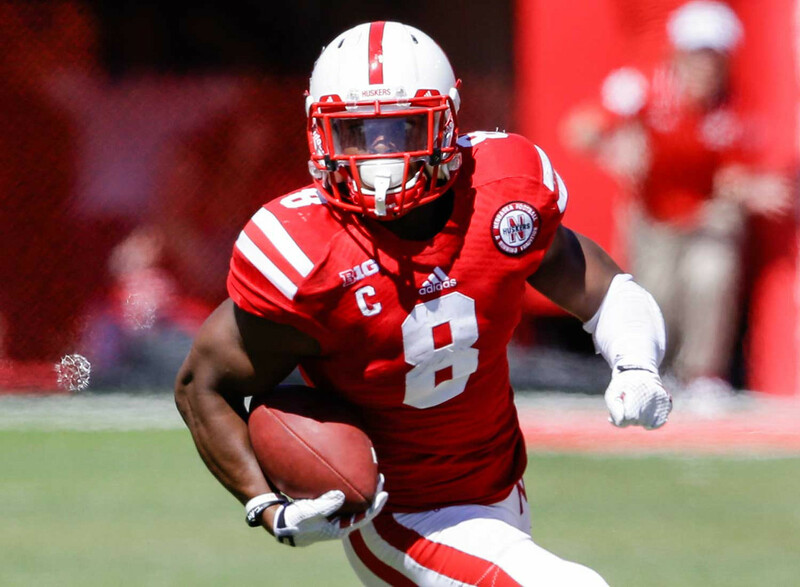 Abdullah left Nebraska with the second-most rushing yards (4,588) in school history. The very strong and quick back should fill the void left in Detroit by Reggie Bush. He'll make for a great third-down back, as he can catch the ball, run the screen and run the draw. He's a very dangerous runner, receiver and returner. Drafted in: Round 1, No. 20 overall. Agholor is a triple threat -- receiver, punt returner and kick returner -- who will be a matchup nightmare in the Eagles' system from Week 1. He can do more than simply replicate what Jeremy Maclin did for Philadelphia before leaving for Kansas City -- Agholor can be an improvement. Drafted in: Round 1, No. 32 overall. New England needs someone to replace departed veteran Vince Wilfork, and Brown can be the man. He's very strong, has great quickness, runs well, is athletic and makes good use of his hands. Drafted in: Round 3, No. 73 overall. Coleman scored 29 touchdowns for a not-great Indiana football team in his college career -- and 15 of those went for 43 yards or more. I've never seen him caught from behind. Against Ohio State, he had 228 yards, with 72 coming after contact. Coleman is a big, strong guy who can run extremely fast. Drafted in: Round 2, No. 33 overall. Collins -- who tied for the fourth-best 40 time (4.53 seconds) among safeties at the NFL Scouting Combine -- makes a lot of tackles. He might need to lose a bit of weight, as he looked like he had better range in 2013 than he did in 2014, but he should step in right away and help the Giants' defense. Drafted in: Round 1, No. 4 overall. Cooper is a playmaker without any real weaknesses -- he'll even block in the running game. One of the toughest positions at which to make an impact as an NFL rookie is receiver, but I have faith in Cooper, who racked up 1,000 yards as a true freshman at Alabama. Moreover, he's an outstanding person with an unbelievable attitude. Drafted in: Round 1, No. 9 overall. The very strong Flowers, who recorded 37 bench reps at the NFL Scouting Combine, should give the Giants great flexibility, as he can play left or right tackle. Based on what his college tape shows, Flowers has the ability to manhandle opponents. Drafted in: Round 1, No. 15 overall. Gordon is a terrific competitor, a ball carrier who racked up the ground yardage -- he had 2,587 rushing yards at Wisconsin in 2014, the second-most in FBS history. His pass-catching skills were a worry at one time, because the Badgers didn't throw the ball much, but he worked on (and improved) that area of his game. He's a great fit for the Chargers. Drafted in: Round 1, No. 10 overall. If Gurley -- who is recovering from a torn ACL -- had been completely healthy coming out of college, he would have been a top-three pick. He mixes Eddie George's running style with Steven Jackson's explosiveness. I'd be surprised if he doesn't start Week 1, but even if he misses a few weeks, he has a chance to make a huge impression. Drafted in: Round 3, No. 69 overall. Lockett -- who ran the fastest 60-yard shuttle among receivers at the combine -- is outstanding in the return game, having returned punts for Kansas State at an average of 19.1 yards in 2014. He's reminiscent of Tavon Austin. Lockett is quick and will be an unbelievable matchup problem; I expect him to make a ton of plays and take plenty of punts to the house. Drafted in: Round 1, No. 5 overall. A five-year collegian -- like Cowboys standout Zack Martin was when he came out of Notre Dame -- Scherff is a very good athlete, not stiff at all. Washington wants to run the ball, and Scherff is going to just be a dominant blocker in the ground game. He'll get to the second level. He'll also be good at pass protection. Guys coming out of Iowa have been taught well. Drafted in: Round 2, No. 55 overall. Williams is good -- and he's going to get plenty of opportunities with the Ravens, who love throwing to the tight end and had a big need at the position, with injured veteran Dennis Pitta's future still a question mark. I expect the Minnesota product to step in, start and catch lots of passes.